Welcome to the Icomania world!!! Here you will have more than 900 cartoons to quiz, they are all imaginative and handcrafted cartoons! Can you guess all the pop icons? Try this Icomania game! It’s Free! A man and a woman was riding on a deer in a snowing day, what’s this movie? — It’s Frozen! A super hero wearing an American suit and arming a shield, what’s this character? — It’s Captain America! There are more than 900 icons for you to quiz! 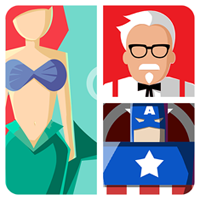 The icons includes TV & Movies, Characters, Famous People, Country, Cities, and Brands.Come and try this icon pop quiz game! Playing ‘Icomania – Icon Quiz’ is pretty simple: you see an icon and you’re shown a series of 14 or 16 scrambled letters, out of which you have to guess a word that you associate with the icon. We now present you the new puzzle adventure – icomania! Download the top trending game on the market for free and begin the icon mania right now! Bottle can be flipped on mobile phone now! Wanna be the expert of Bottle Flip? Flip the water bottle onto the platform a get score. The next platform will become smaller, and greater angle to stand on. Let’s start the bottle flip challenge right now! 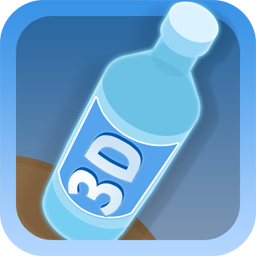 * Flipping bottle onto the platform to score, and then move to the next platform, it can be endless! * No internet connection needed and no in app purchases. This bottle game is inspired by the epic water bottle flip challenge. Guess Emoji The Quiz Game is the ultimate emoji quiz game on Android! With over 1400 emoji puzzles, Guess The Emoji : Emoji Quiz has the largest collection of emoji puzzles for all emoji guessing games! The idea is really simple: there are multiple emojis shown to you, you just need to guess what they mean. More than 1400 emoji puzzles to quiz! There are totally 66 categories of emoji puzzles, like: brand, celebrity, food, movie, music, animal, saying, place, etc.. All the icons on the emoji keyboard work together to bring you quiz fun! With this guessing emoji app, Guess The Emoji : Emoji Quiz, you don’t need to solve the current emoji puzzle to go to guess next one, there are 48 emoji puzzles in an emoji level. 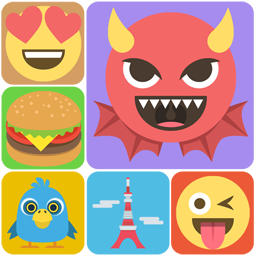 You can guess all 96 emoji puzzles in first 2 levels without any limitation! Emoji guessing game is really addictive, play this Guess The Emoji : Emoji Quiz game to train your brain! When you play this Guess The Emoji game, don’t try to find emoji answers, since it will break the fun. If you’re a movie-lover or if you’ve seen lots of great movies, you will definitely love this guessing game – Guess The Movie & Character. Since it can test you how many movies you can remember and recognize. The game play is simple, what you need to do is to guess a movie’s or a character’s name based on handcrafted beautiful cartoon which left you a clue to help guess the movie. e)There are many ways in the game to get free coins to use hints. If you login the game every day, you will be award 60 coins! The best icon pop quiz puzzle game is finally on Google Play! It’s Icomania Guess The Icon Quiz! 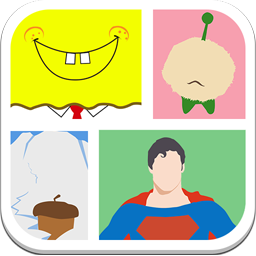 Play this puzzle game, you will have more than 900 cartoons to quiz, they are all imaginative and handcrafted cartoons! Can you guess all the pop icons? Try this pop icon quiz game – Icomania Guess The Icon Quiz, it’s Free! 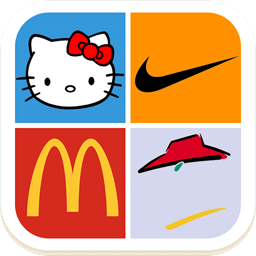 The icons includes TV & Movies, Characters, Famous People, Country, Cities, and Brands. Come and try this icon pop quiz game! The more icons you unlock, you will find out the icons will be harder to guess. Playing ‘Icomania Guess The Icon Quiz’ is pretty simple: you see an icon and you’re shown a series of 14 or 16 scrambled letters, out of which you have to guess a word that you associate with the icon. We now present you the new puzzle adventure – icomania guess the icon quiz! Download the top trending game on the market for free and begin the icon mania right now!